Welcome to the Flower Show! In the middle of May I photographed this street in Højbjerg, Århus. The name of the street is P. Mønsteds Allé. 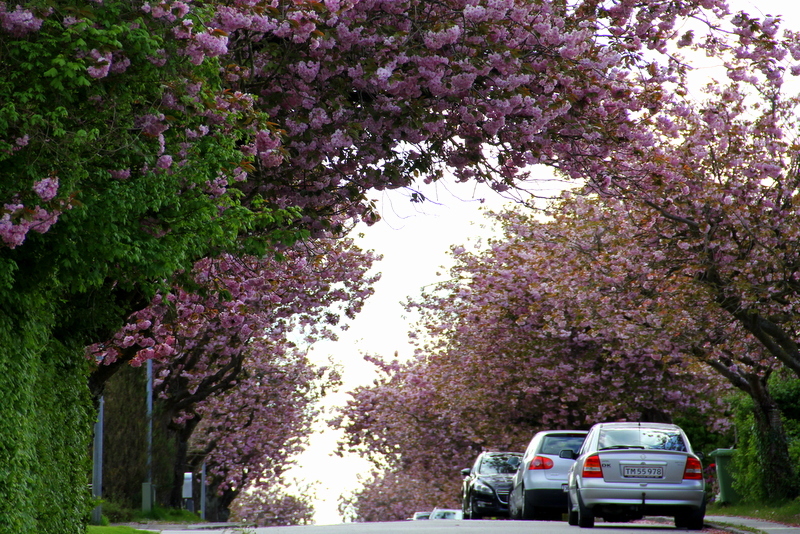 I was overwhelmed by the flowering Japanese Cherry trees – that created a tunnel of flowers from all the trees in the avenue. During an hour I captured many photos from different spots in changing light. The different light gives different colors to the flowers. Here are 3 different photos from this afternoon. Now this wonderful flowering has ended – but I am sure I will return to see this flower-show again in the coming years……. Thanks to my friend and former colleague, Karin, for for making me aware of this beautiful Avenue! Wonderful dream .. Dreamy dream ! Let’s just look and enjoy . I enjoyed it – that afternoon – now the color is green……. How utterly pretty. What a beautiful street! I agree! Thanks for your comment…. Joda, også dette barnehjemmet har behov for klær. Men, her har de flotte ting en kan kjøpe som minner fra Tanzania. Og hvis de har “kjopt” ideen min vil du kunne kjøpe billige “erterposer/beanbags” til kameraet ditt! Tak for din kommentar, Hans. Og for råd om besøg på børnehjem i Tanzania. Vi vil tage tøj og andre nyttige ting, vi (som alle her i vores rige del af verden) har alt for meget af, med derned og give væk. ….. kan man ikke sige nysselig også i Norge (talesprog hernede 😉 )? Når man ser slik så vet man at det er vår! Mye bedre med en slik tunnel enn med dem i stein. Lurer på om jeg ikke en gang har sett akkurat denne en gang på 90-tallet? Har du været i Århus / Højbjerg på det tidspunkt? 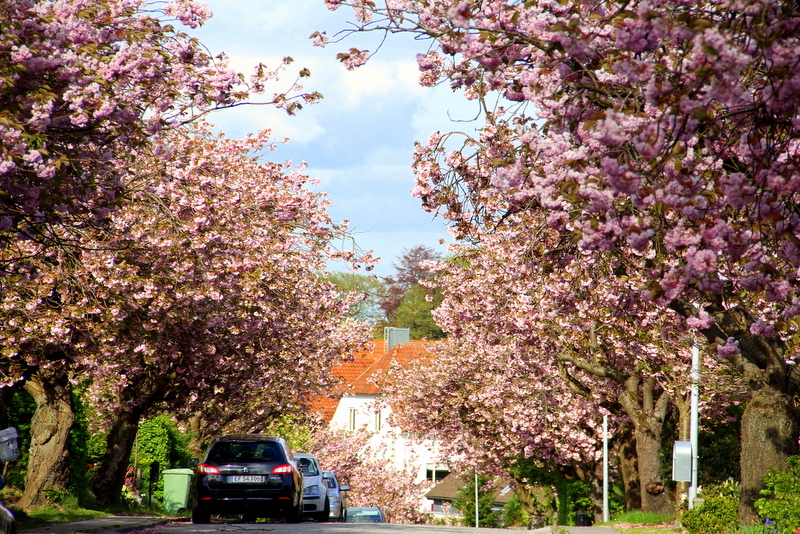 Oh my word, these are BEAUTIFUL… I didn’t know you have Japanese Cherry Trees in Denmark?! Gorgeous! 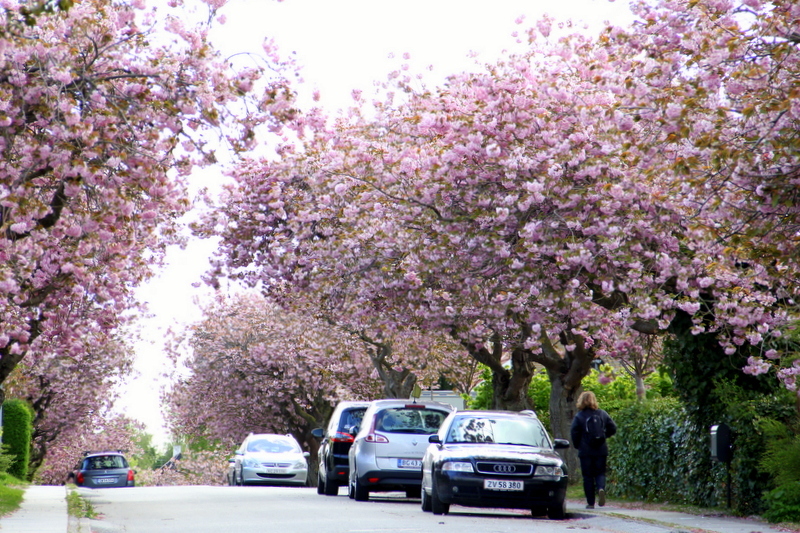 We have MANY of these trees here – although they are unfortunately not resident in Denmark…. WOW, that is amazing! These are so beautiful 🙂 Did you get up close to them too? I’d say shooting these up close with a shallow DoF would be so much fun! Wonderful! So beautiful. I do love Your photo! Thank you so much, Matti! Wow – thanks for your nice comments! Did they smell wonderful ? I did not get very close to the flowers, but passing under them like I did – I did not smell the flowers….